KEYLOK is experiencing a steady influx of software and systems developers who are switching from competitors citing reasons of ease of implementation of KEYLOK's software security & licensing products, rapid ship times and personalized, attentive customer support. KEYLOK, a leading provider of software security products for over 30 years, announced today that growth is accelerating in several market verticals and geographic regions through customers that have moved from the competition to KEYLOK. While some competitors focus on mergers and acquisitions, the KEYLOK team remains committed and focused on their hardware-based security product development and personalized customer technical support. It’s this steady and unchanging commitment that is leading to an increased number of customers switching to KEYLOK. “KEYLOK has always been proud of our dedication to our products and our customers’ satisfaction,” said Stu Zinanti, CEO of KEYLOK. The company provideshardware-based security and licensing to Independent Software Vendors and Systems Manufacturers across hundreds of industries. Recent market changes have affected competitors’ product complexity and support levels. It’s become increasingly difficult for customers to implement and maintain their software security products and obtain the support they need. Another issue affecting middle-market customers is their order size. Some of KEYLOK’s competitors are simply too large to dedicate adequate and attentive resources to servicing smaller and middle-market customers. When a middle-market customer places an order for 200 dongles, they expect to be treated the same as a customer ordering 2,000 dongles, but this isn’t happening. Middle-market customers are hit hard due to shipping delays because it costs them more than a larger enterprise, both financially and reputationally. They’re forced to pass on these delays to their customers, damaging their credibility and reputation. Moreover, delays impact their revenue stream because their own product shipments are delayed. Every KEYLOK customer gets the same, stellar support whether they’re placing a small, medium or large order. KEYLOK ships orders within 24-48 hours, often 200% faster than their bigger competitors. KEYLOK is also able to keep their prices reasonable and competitive, up to 40% less than other competitors. 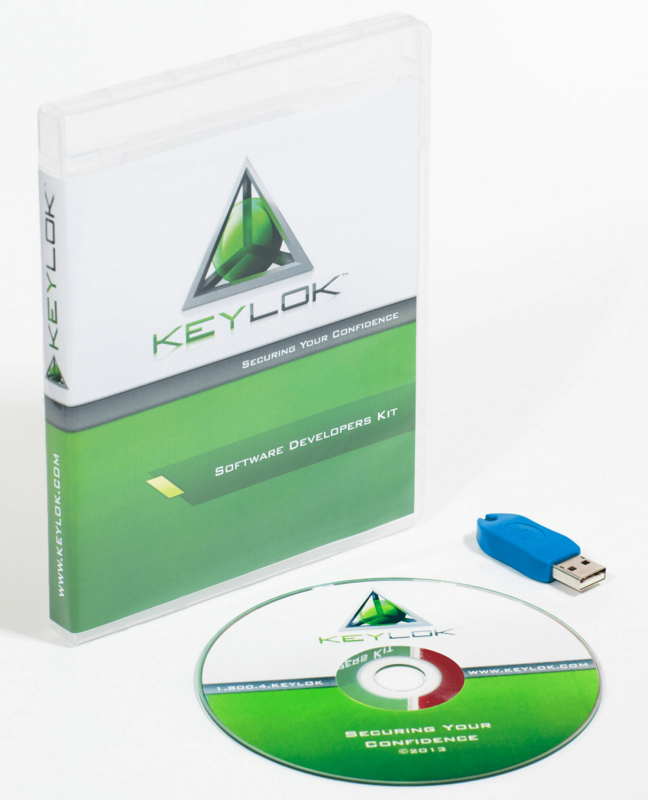 Compare KEYLOK’s products and support to other security providers today by ordering a free SDK Evaluation Kit. About KEYLOK: KEYLOK, a privately-held company founded in 1980, is a trusted provider of hardware-based security devices (dongles) for software and systems’ manufacturers across hundreds of industries. For over three decades, KEYLOK has provided reliable and affordable security and licensing solutions for protecting intellectual property. KEYLOK is headquartered in Denver, CO, with customers across the U.S. and around the world. Copyright 2015 KEYLOK. All rights reserved. KEYLOK and the KEYLOK logo are trademarks or registered trademarks of KEYLOK. All other product and brand names mentioned in this document are trademarks or registered trademarks of their respective owners.